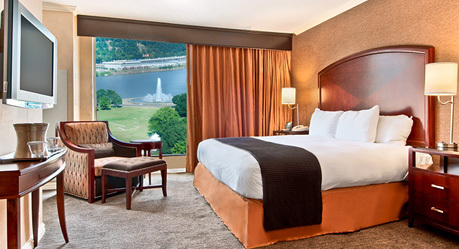 Located in Pittsburgh’s Central Business District, also known as the Golden Triangle, the Wyndham Grand Pittsburgh's modern hotel rooms and suites offer stunning views of the famed three rivers and Pittsburgh’s rejuvenated downtown. 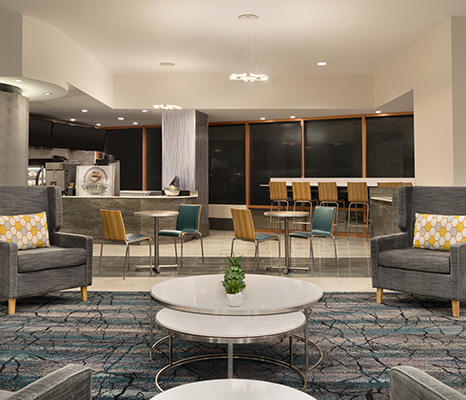 A premiere destination for business travelers and casual fun-seekers alike, the Wyndham Grand is home to 712 Pittsburgh hotel rooms ranging from single-bed accommodations to enhanced luxury suites. 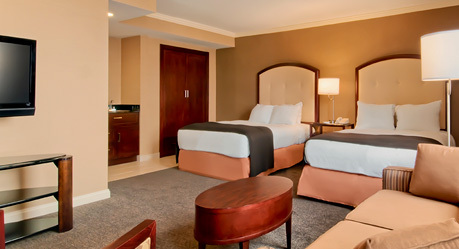 Unwind on our 100% cotton BeWell pillow top mattresses, enjoy comforts like our 37” flat-screen HD TVs in every room, and take advantage of high-speed Internet access to always stay connected. Treat yourself and upgrade to any of our Deluxe Rooms, or Junior or One Bedroom Suites for extra room and comfortable amenities including wet bars and refrigerators. With a spacious 300 square foot design and contemporary décor, our standard two double bed non-smoking rooms offer the perfect setting to take in stunning river views. 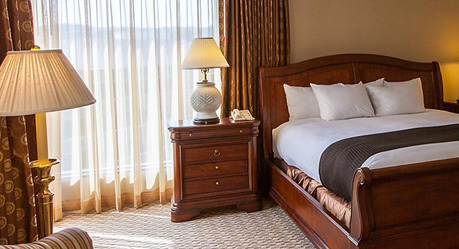 Relax in style in one of our 300 square foot non-smoking king bed rooms, and take advantage of our hand-crafted floor-to-ceiling windows to enjoy your view of the scenery overlooking the famed three rivers. 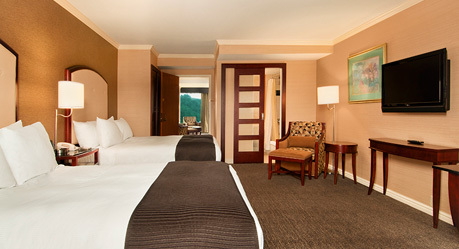 Measuring 430 square feet, these junior suites feature two double beds and a full-sized sofa bed. 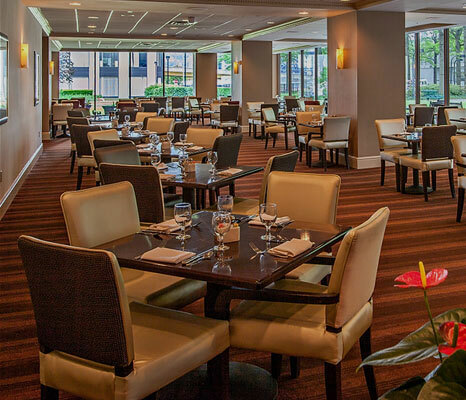 Whether you’re traveling with family, colleagues or friends, you’ll be treated to picturesque views of downtown Pittsburgh and enjoy a host of amenities designed to make your stay feel like home. Entertain guests or get away from it all in these spacious, 430 square foot suites. 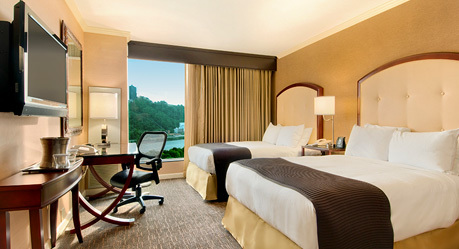 Rooms come equipped with all the amenities you need to work (or play) and offer unparalleled views of downtown Pittsburgh. Want a little extra space for your family or group? 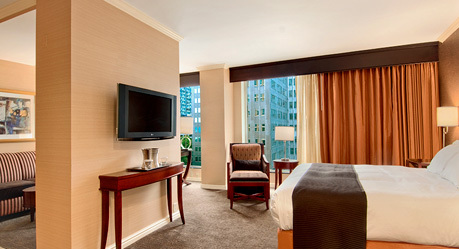 Settle into our spacious, 680 square foot, one-bedroom suite. With two double beds and a separate living room featuring a full-sized sofa bed, these expansive accommodations are available with both river or city views. Indulge yourself and your guests in our expansive Presidential Suite featuring two sleek bedrooms and a spacious living room area. 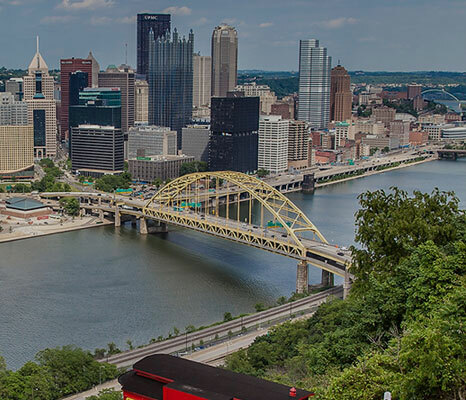 Admire the arresting views of downtown Pittsburgh and the three famous rivers from this top floor suite that has hosted presidents, hall-of-famers and celebrities. Take advantage of over 2,000 square feet to entertain, and unwind in the comfort of your soothing private whirlpool tub.